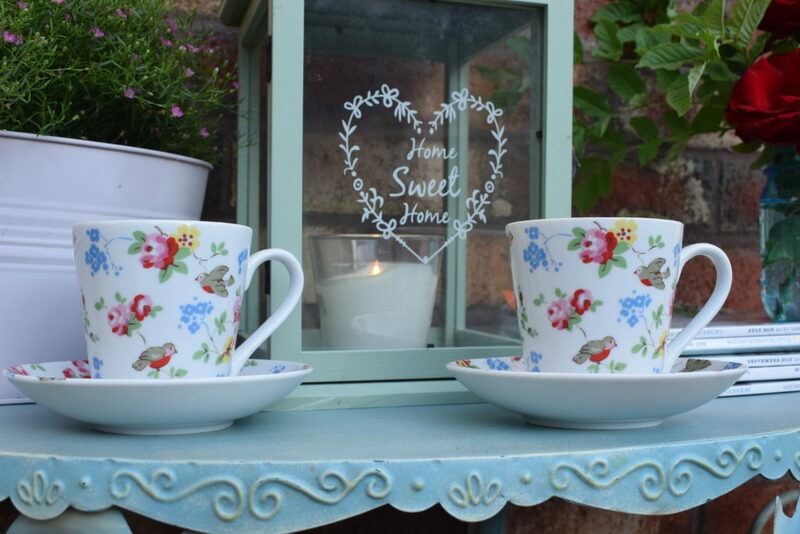 Now that there’s a hint of spring in the air and the daffodils and snowdrops are popping up in the garden it’s making me look to warmer sunnier days ahead. 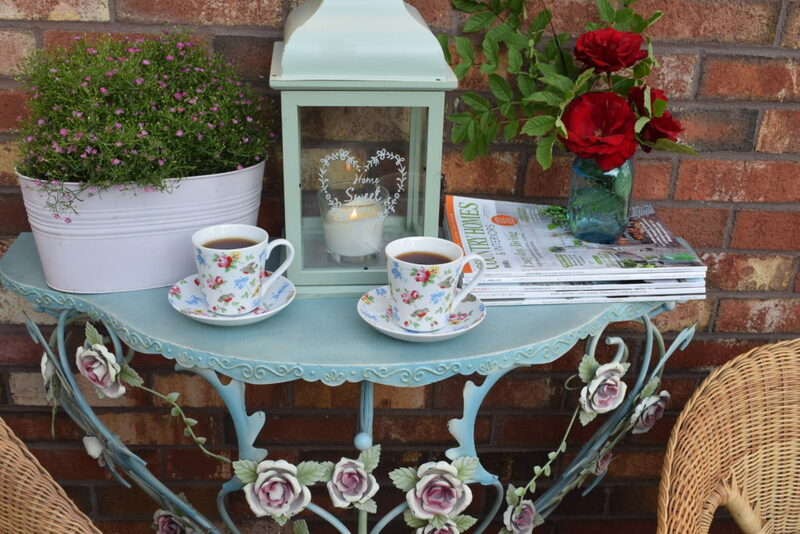 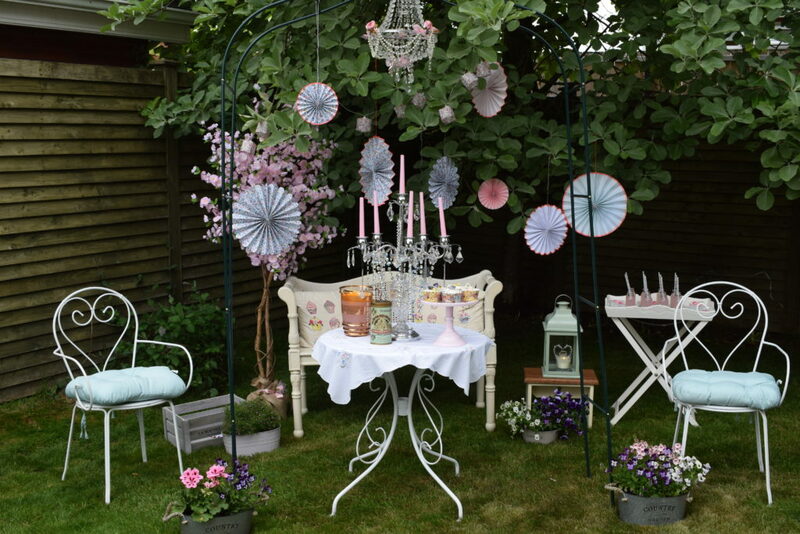 Entertaining guests in the summer months is lovely as it’s very relaxed and I like to create little seating areas around the garden for everyone to sit and enjoy. 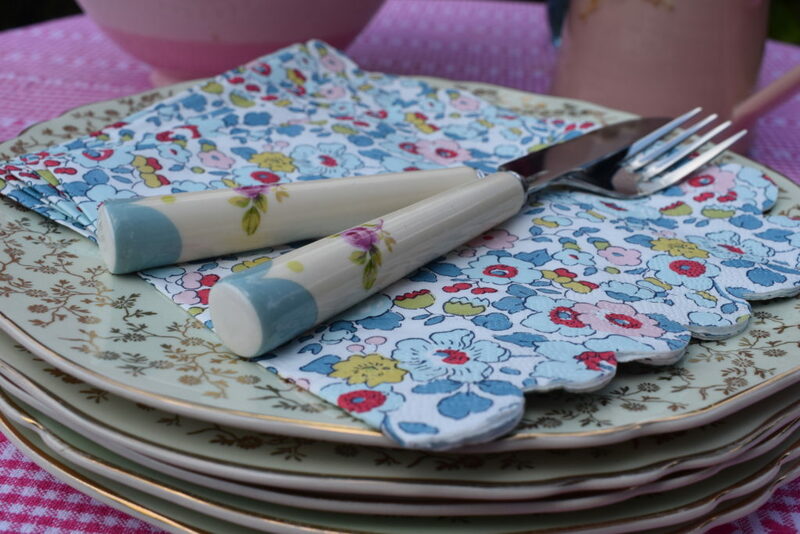 Instead of setting a table I just have plates and cutlery next to the food for everyone to help themselves which makes it more relaxing all round. 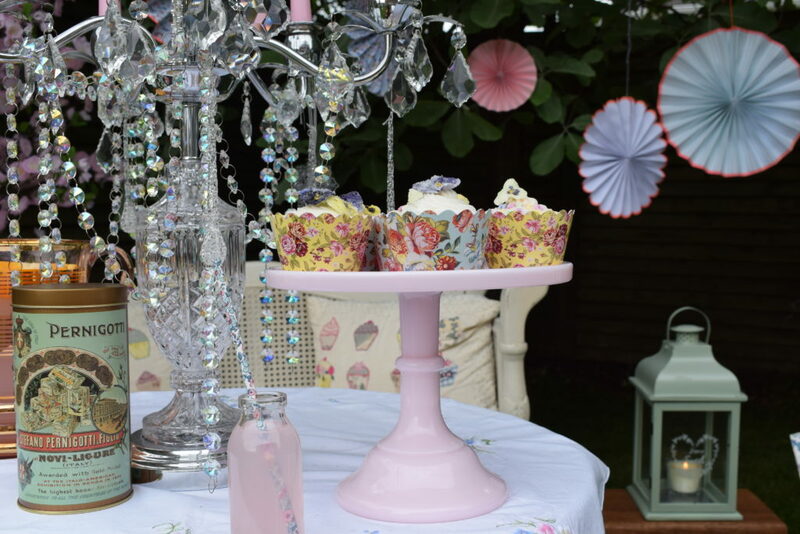 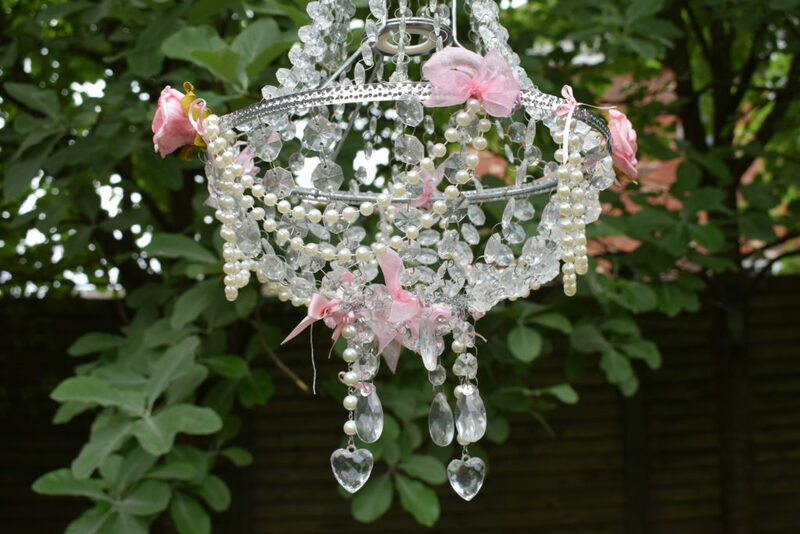 On this particular occasion last summer I wanted it to be very pretty and used lots of accessories and hung a little chandelier from the trees and I used my favourite Liberty party accessories around the garden to bring it all together. 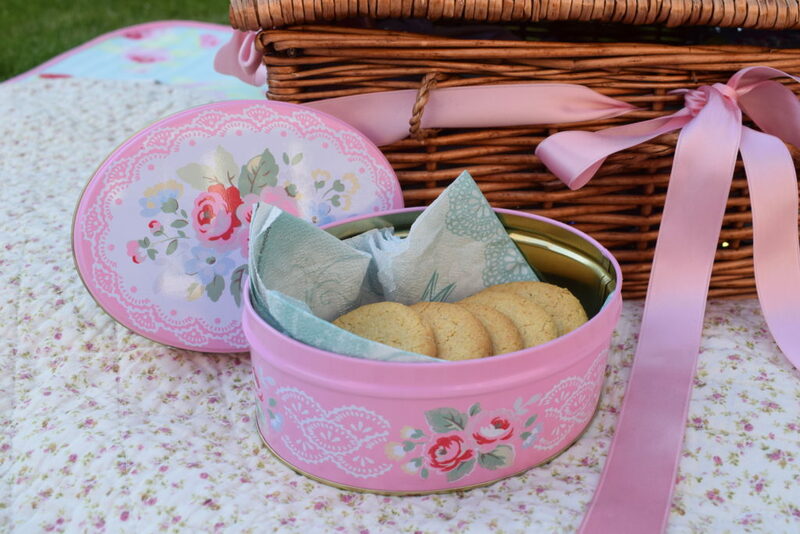 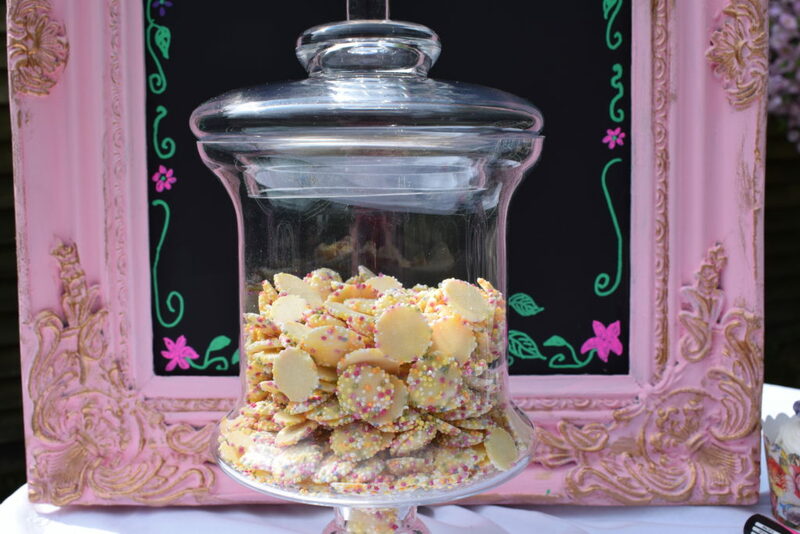 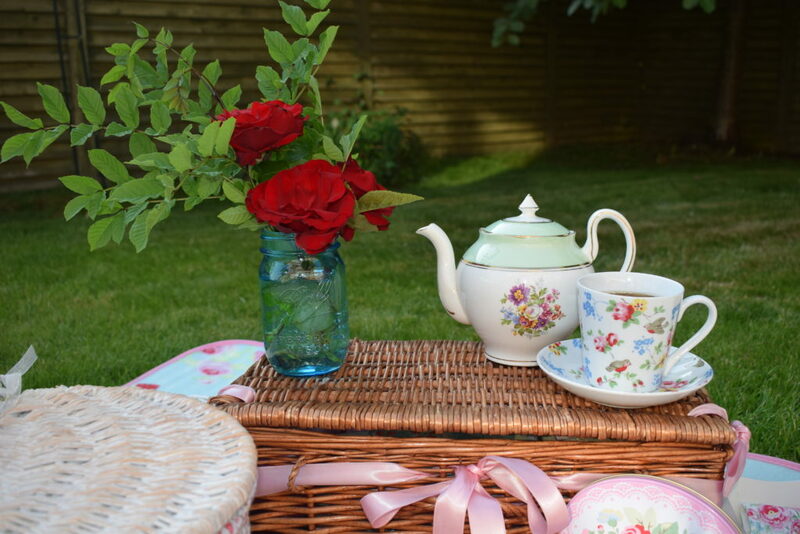 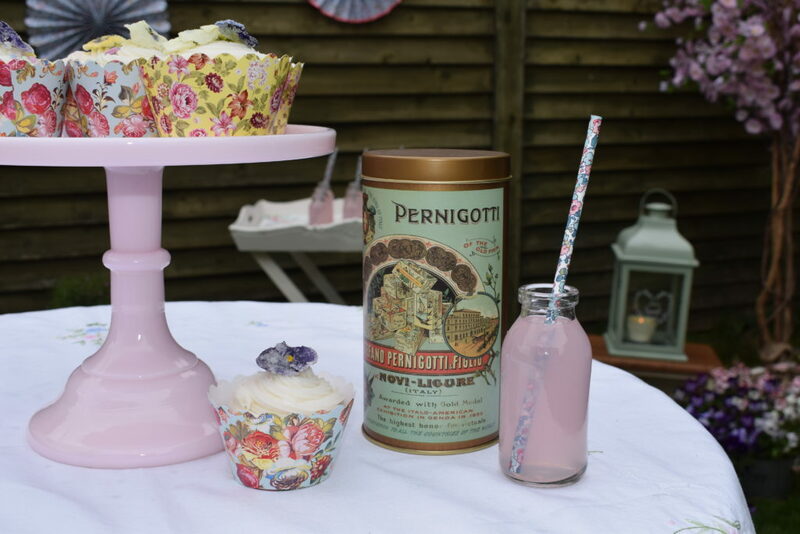 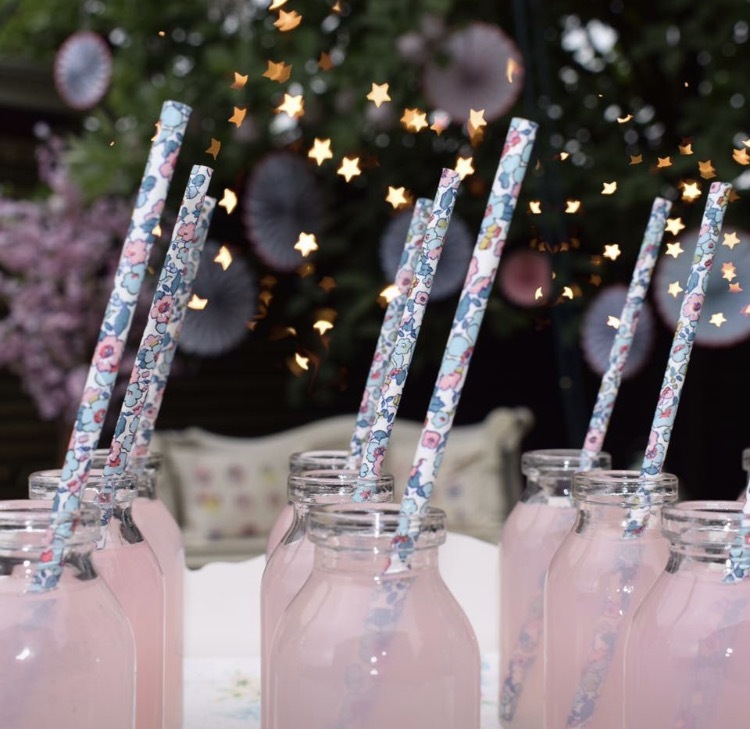 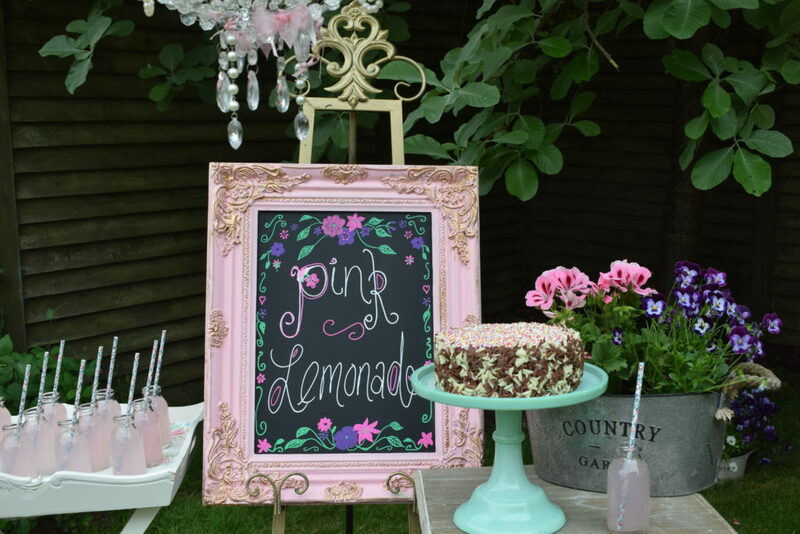 I have a very cute little bistro set which was perfect for the cupcakes, biscuits and sweets and I used a wooden butlers tray for some little bottles of pink lemonade. 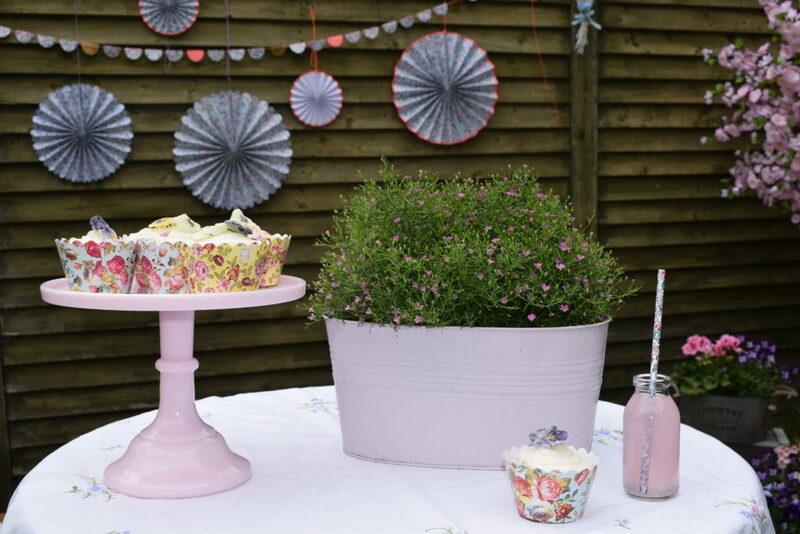 I always have lots of pots filled with flowers in the summer and these are ideal for moving around to create little pops of colour whilst entertaining outdoors. 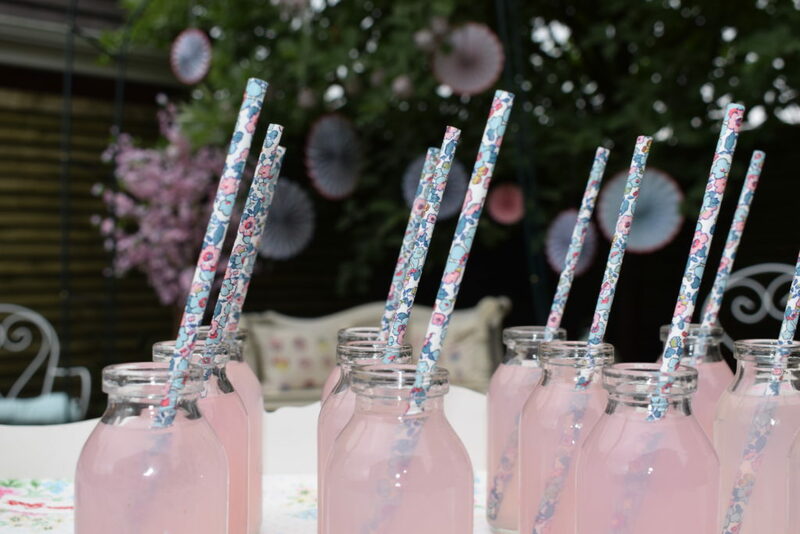 So hopefully we have lots of sunny days to look forward to this summer and if it rains we will just move the party indoors!